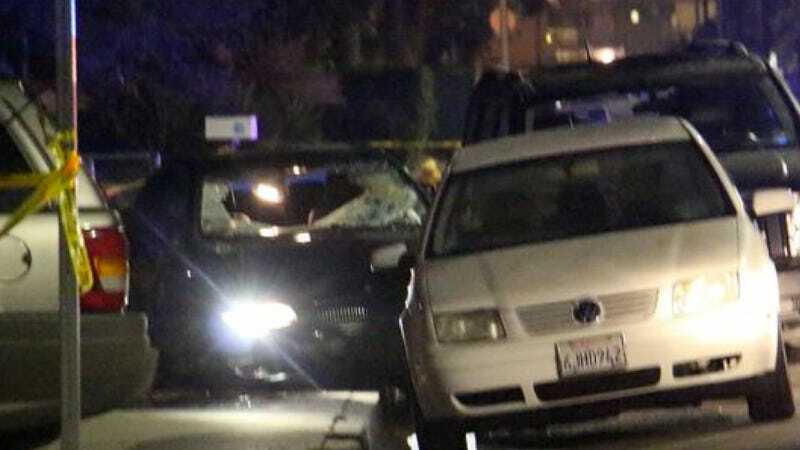 A man in a black BMW went on a rampage near UC Santa Barbara last night, and seven people are now dead, including the shooter, according to the AP. The gunman engaged into two separate shootouts with police before crashing his car with a bullet wound to the head. Authorities are still trying to figure out whether the fatal wound was self-inflicted. Though the Santa Barbara sheriff's department won't confirm the name of the shooter pending the notification of victim's families, the shooter is reported to be a man named Elliot Rodger, according to USA Today, who posted an extremely disturbing Youtube video (seriously, it's the last video of a nutjob, really disturbing, you're probably better off not watching) immediately prior to the shooting, where he generally comes off like an arrogant prick who whines about the fact that girls don't like him, all while he sits on the cushy leather seats of his BMW.